Hamamatsu (, Hamamatsu-shi, lit. "Coast Pine Tree") is a city located in western Shizuoka Prefecture, Japan. As of July 1, 2012, the city has an estimated population of 797,462 and a population density of 512 persons per km². The total area is 1,558.04 km2 (601.56 sq mi). On July 1, 2005, Hamamatsu absorbed the cities of Tenryu and Hamakita, the town of Haruno (from Shuchi District), the towns of Hosoe, Inasa and Mikkabi (all from Inasa District), the towns of Misakubo and Sakuma, the village of Tatsuyama (all from Iwata District), and the towns of Maisaka and Yuto (both from Hamana District) to become the current and expanded city of Hamamatsu. It became a city designated by government ordinance on April 1, 2007. Hamamatsu consists of a flat plain and the Mikatahara Plateau in the south, and a mountainous area in the north. 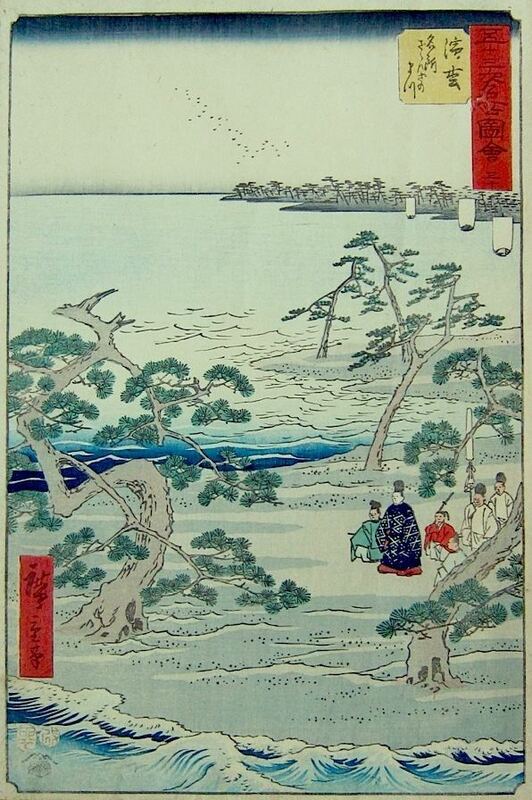 It is roughly bordered by Lake Hamana to the west, the Tenryu River to the east, and the Pacific Ocean to the south. The area now comprising Hamamatsu has been settled since prehistoric times, with numerous remains from the Jomon period and Kofun period having been discovered within the present city limits, including the Shijimizuka site shell mound and the Akamonue Kofun ancient tomb. In the Nara period, it became the capital of Totomi Province. During the Sengoku period, Hamamatsu Castle was the home of future Shogun Tokugawa Ieyasu. Hamamatsu flourished during the Edo period under a succession of daimyo rulers as a castle town, and as a post town on the Tokaido. After the Meiji Restoration, Hamamatsu became a short-lived prefecture from 1871–1876, after which it was united with Shizuoka Prefecture. Hamamatsu Station opened on the Tokaido Main Line in 1889. The same year, in a cadastal reform of Japan, Hamamatsu became a town. 1948: Hamamatsu Incident, ethnic rioting of Zainichi Korean residents. January 1, 1991: The village of Kami in Hamana District merges with Hamamatsu. April 1, 1991: The first Hamamatsu International Piano Competition was held. 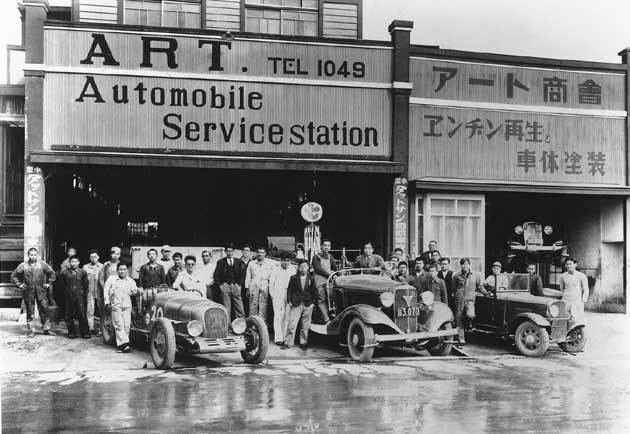 May 1, 1994: Act City Hamamatsu opened. October 1, 1995: Hamamatsu Museum of Musical Instruments opened. April 1, 1996: Hamamatsu is designated a core city by the central government. June 1, 1996: Hamamatsu City Fruit Park opened. January 1, 1997: Started separated collection of garbage in residential areas. April 1, 1997: Hamamatsu is designated as an Omnibus Town. April 1, 1998: Act City Musical School opened. April 3, 2000: Shizuoka University of Art and Culture opened. August 1, 2002: Launched the conference on Pan-Hamanako Designated City Simulation. April 1, 2003: Shizuoka New Kawafuji National High School Competition was held. June 1, 2003: Launched Tenryugawa-Hamanako Region Merger Conference. April 8 – October 11, 2004: Pacific Flora 2004 (Shizuoka International Garden and Horticulture Exhibition) was held at Hamanako Garden Park. July 1, 2005: Hamamatsu absorbed the cities of Hamakita and Tenryu; the town of Haruno (from Shuchi District), the towns of Hosoe, Inasa and Mikkabi (all from Inasa District), the towns of Misakubo and Sakuma, the village of Tatsuyama (all from Iwata District), and the towns of Maisaka and Yuto (both from Hamana District) were merged intoHamamatsu. Inasa District and Iwata District were both dissolved as a result of this merger. Therefore, there are no more villages left in Shizuoka Prefecture. April 1, 2007: Hamamatsu became a city designated by government ordinance by the central government. Act City Tower Observatory: Hamamatsus only skyscraper, situated next to JR Hamamatsu Station, is a symbol of the city. It was designed to resemble a harmonica, a reminder that Hamamatsu is sometimes known as the "City of Music". The building houses shopping and a food court, the Okura Hotel, and an observatory on the 45th floor overlooking all of central Hamamatsu, even down to the sand dunes at the shore. Chopin Monument This is a 1:1-scale replica of the famous Art Nouveau bronze statue of Chopin by the famed artist Waclaw Szymanowski. The original is in Hamamatsus sister city, Warsaw.? Hamamatsu Castle: Hamamatsu Castle Park stretches from the modern city hall building to the north. The castle is located on a hill in the southeast corner of the park, near city hall. It was built by Tokugawa Ieyasu. His rule marks the beginning of the Edo Period. Tokugawa Ieyasu lived here from 1571 to 1588. There is a small museum inside, which houses some armor and other relics of the period, as well as a miniature model of how the city might have looked 400 years ago. North of the castle is a large park with a Japanese garden, a koi pond, a ceremonial teahouse, and some commons areas.